Science is a systemized knowledge about the natural and physical world gained by systematic research. It is a broad term that covers a lot of different subjects. There are so many different types of science which cannot be covered in this short article so we are going to mention some of the most common types of science in the following paragraphs. Geology is a science concerned with studying the earth or part of it. Simply, the study of earth is known as geology or most commonly earth science. Geology focuses on the structure of the earth and its different aspects such as plate techtonics, layers of earth, and/or atmosphere. Apart from this geology also deals with the study of the history and formations of the planet. 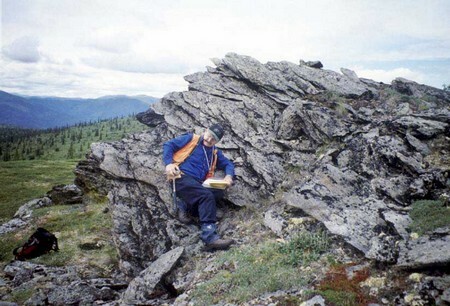 The one who specializes in geology science are often referred to as geologist. Geologists are the one who work with different organizations to search for the earth’s natural resources such as metals, gems, minerals and certain other precious elements like that of petroleum, natural gas, sulfur, gold, iron, helium, coal etc. The study of geology based on certain principles like principle of intrusive relationships and principle of uniformitarianism. The former assists the geologists to in getting information about the happenings on the rocks by studying the samples from young and old rocks. This helps the geologist to understand the movement of the earth’s crust. While the later principle assists the geologists in understanding the geological processes. The study of the present state of earth helps the geologists to have an idea about the happenings of the past. Astronomy science is a science concerned with studying the celestial bodies such as sun, moon, star, planets, galaxies, black holes, super novae etc. Astronomy normally deals with the evolution, physics, chemistry, meteorology, and movement of celestial bodies along with the evolution of the universe. It is considered as on of the oldest types of science as we have instance from the history where the primitive people attempted to explore the world beyond their reach. Humans started taking interest in the celestial bodies from an ancient time. First, simple mathematics and mere observations were used to have an idea of the motion and paths of the stars and planets. The invention of telescope was a major breakthrough in this regard which made the task of observing and studying the celestial bodies easier. There are two major types of astronomy, i.e. theoretical astrophysics and observational astronomy. The former deals with different theories related to the laws of universe, whereas the latter deals with collecting the data as opposed to theoretical astrophysics that normally focus on physical models. All the information we have now regarding these celestial bodies is because of the efforts of astronomers who keep themselves busy in exploring the world of which our planet earth is a small part. Chemistry is a type of science concerned with scientific study of the structure of the substances, i.e. how they react and behave under certain conditions. Simply, it is the study of elements. Chemistry is a broader branch of science that not only involves reactions, transformations and aggregations but also studies the temperatures, pressures, densities and chemical potential changes during the chemical reactions or processes. In the subject of chemistry, we study molecules, metals and non-metals, and also their compositions, properties, interactions and relationships. Present day chemistry bound us to tackle the physical properties of different matters on the basis of their molecular or atomic scale. Chemistry is all about reactions between different elements or substances and their consequences or results. For instance, one of the most common chemical reactions is that of oxygen and hydrogen that results in giving water. Chemically the reaction is given as 2H2 + O2 ? 2H2O. Similarly, we can give the chemical reaction that involves the human process of digestion by C6H12O6 + 6O2? 6CO2 + 6H2O where C6H12O6 is sugar. The reaction implies that when the sugar present inside the human body comes in contact with the oxygen, carbon dioxide and water is produced. These are the common examples while chemistry studies quite complex chemical reactions and their results to analyze different things. 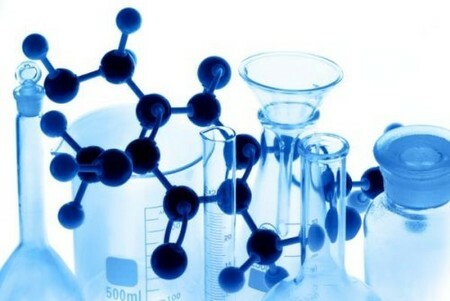 There are several different subtypes of chemistry like biochemistry, nuclear chemistry, analytical chemistry etc. Biology is a branch of science that deals with the scientific study of life and structure of plants and animals. The major area of focus of this science is to bring out the facts related to the different forms of organisms and their existence and relationship with each other and of course with natural environment. The advent of this field of science is based on the fact that all the living beings behaves in a similar fashion and are therefore required to be studied as a single subject. Biology is a term that covers a wide range of subjects that fall within the category of biology and hence, classified into several different subtypes such as botany, zoology, medicine, microbiology etc. As biology is a scientific study, it involves a lot of experimentation to make certain the results or statistics provided are accurate. Physics science or physical science is a science concerned with studying the natural forces or laws of the universe that direct matter, energy, space and time. There are several different types of physics that examine and study the character of the above mentioned four factors. Classical mechanics or Newtonian mechanics was introduced by Sir Isaac Newton and deals with the motion and forces work on the bodies. There are certain other theories that focus on the study of motion such as Einstein’s theory of relativity related to large objects and their quick motions. Quantum mechanics is another branch of physics that studies the small objects and forces act on them. Electromagnetism is another branch of physics that deals with electromagnetic fields, i.e. changes occur in the charged particles and forces that act on these particles. Thermodynamics is the branch of physics that study the heat and conversion of heat energy into other forms of energy. In general, physics attempts to analyze and explain the concepts like gravity, waves, acceleration, velocity, magnetism, temperature, viscosity, and electricity, speed of light, momentum and wave-particle duality. 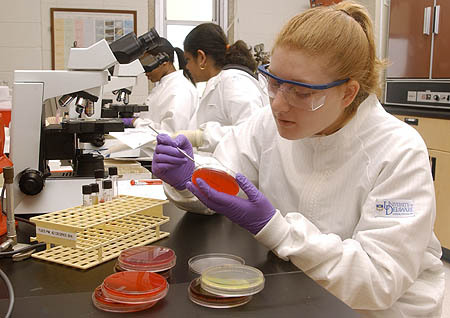 Microbiology is a branch of biology science that deals with microscopic organisms. By microscopic we mean that the organisms are so small and can only be observed with the help of microscope. One cannot see these microorganisms with naked eyes. Microbiologists make use of microscopes to observe and study these microorganisms. Microbiology is divided into different subfields: Microbial physiology is the form of microbiology that deals with the functions of cells, metabolism and biochemical functions; Microbial genetics deals with organizing and regulating of genes in microbes; Medical microbiology deals with microbes and their usefulness during the illness; Industrial microbiology concerned with how microbes are used in industrial processes such as brewing; Aeromicrobiology deals with the microorganisms found in the air; Food microbiology concerns with the microbes involved in spoiling the food; and Pharmaceutical microbiology is the field of microbiology that deals with the microorganisms accountable for affecting the pharmaceutics. Psychology is a branch of science concerned with studying behavior and the mental processes involved in the human brain or even in animals. The person who specializes in psychology is known as psychologists. Psychologists are the people, who study the human brain and its different processes such as how people perceive things, working of the brain, people’s behavior, their actions, and their relationship with one another. The most important feature of psychological studies is that it attempts to treat the people with mental health problems. Modern form of psychology is quite different from the past form of psychology as it combines several different sciences with it which were once thought distinct from psychological science. Different types of psychology include abnormal psychology, biological psychology, cognitive psychology, developmental psychology, and personality psychology. Above mentioned types are some of the different types of science, however, there are several others having their own role to play in this world.